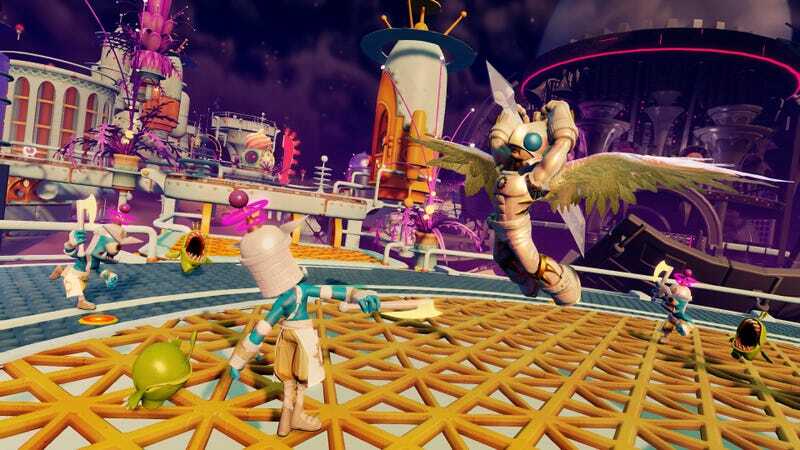 Tomorrow Skylanders: Trap Team introduces two completely new elements to Activision's wildly successful toy-meets-game series. We're going to play with them today, and you can watch. We got our hands on the Light and Dark starter packs a little early, so I figured we could hook up a webcam and do all sorts of fancy streaming magic so you guys can watch me switch toys while I play. And that's why this morning's stream is late. Update: All done! The final battle was fierce, but somehow we made it. Smoke if you got them and are of age. Hit up my past broadcasts on Twitch to see the rest. Apparently there was a little disconnect issue.